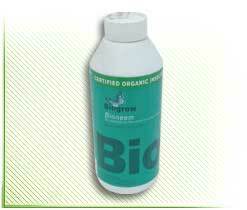 Made from Neem oil, Biogrow Bioneem is a natural botanical insecticide. 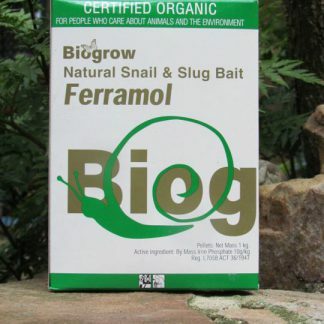 It is a natural insect repellent, causes appetite loss in sucking insects, ingestion by pests will cause a dispuption of their hormone cycle and negatively affects their breeding ability. Think of it as “anti-Viagra” for pests. Pests – whitefly, mites, aphids, thrips, leafminer, various beetles and fruitfly. The key insecticidal ingredient found in the neem tree is azadirachtin, a naturally occurring substance that belongs to an organic molecule class called tetranortriterpenoids. It is structurally similar to insect hormones called ‘ecdysones’ which control the process of metamorphosis as the insects pass from larva to pupa to adult. Metamorphosis requires the careful synchrony of many hormones and other physiological changes to be successful, and azadirachtin is an ‘ecdysone blocker’. 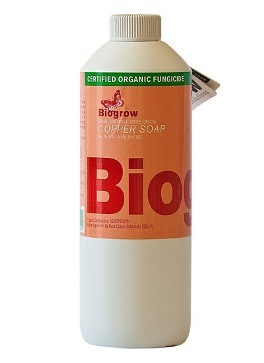 It blocks the insects production and release of these vital hormones. Insects then will not moult, thus breaking their life cycle. Azadirachtin also serves as a feeding deterrent for some insects. Depending on the stage of life-cycle, insect death may not occur for several days. However, upon ingestion of minute quantities, insects become quiescent and stop feeding. Residual insecticidal activity is evident for up to seven days or longer, depending on insects and application rate. Biogrows aim is to control insect populations to a level where minimal damage is caused to the crop and the beneficial insects have a supply of food. The closer we get to creating this balance, the healthier our environment will be. During dormancy (winter) plants can be sprayed with Pyrol for the control of scale insects and the overwintering mealy bug. During the growing season alternate at 10-14 day intervals between sprays of Bioneem and Pyrol. Under high insect infestation and increased plant damage spray Pyrol at shorter intervals, every 7 days, in order to surpress the population of insects to a minimal level. Then continue with maintenance programme. Make a fresh batch each time you spray. 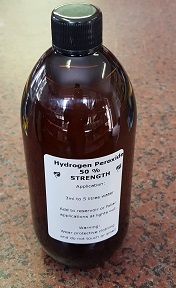 Application rate varies between 3 ml – 5 ml per 1 L water, depending on the growth stage of plant and insect pressure.